London 2012 Paralympic Games Update: NI runners in action! This afternoon, Sally Brown narrowly missed out on a place in the women’s (T46) 200 metres final, despite equalling her season’s best time of 22:78. The 17-year-old from Ballykelly had the ninth fastest time from the two heats. Sally will be in action again on Tuesday 4th September, when she runs in the (T46) 100 metres. Meanwhile in the (T13) 100 metres Jason Smyth outclassed his opponents, breaking the Paralympic world record as he cruised home in winning time of 10:54. Jason will now go for gold in tomorrows final (Saturday 1st September). A large crowd gathered in Gransha Grounds, Derry on Tuesday 28th August for the annual running of Dessie’s 10k road race. In total 161 athletes completed the race, organised by City of Derry Sparatans. After leading the race from the gun, it was City of Derry’s Noel Logan who had the honour of winning on home soil, crossing the line in 33:03 to secure 1st place and his first ever road race victory. Gavin Crawford (24-7 Triathlon Club) was next home in 2nd place, running 35:06 with Letterkenny AC runner Paul Mc Glinchey (35:16) close behind in 3rd place. In the ladies race, Teresa Mc Gloin (Finn Valley AC) finished in 1st place , with a winning time of 36:11, over two minutes clear of Marina Campbell (38:23) who was representing host club, City of Derry. In form Gillian Wasson (Springwell Runners) finished in 3rd place, crossing the line in 38:38. Full Results will appear within our ‘Results’ section when available. Northern Ireland Mountain Running Association (NIMRA) have announced strong teams for ‘The Home International’, taking place on Saturday, 22nd September in Melmerby, Northern Pennines. There will be stiff competition with teams from England, Wales and Scotland also competing. The race itself is an ‘uphill only’ event, 10km in distance and rising 509 metres from start to finish. Gavin Mulholland (based in England) who was the first Northern Ireland competitor home in the recent Snowdon International will again lead the mens team, winner of the Rostrevor selection race Paul Mc Anespie is also included as well as rising star Andrew Annett. Although racing sparingly this summer Andrew will no doubt be in fine form come race day! The ladies team includes in-form Gillian Wasson, with several podium finishes this month Gillian will surely be looking to lead the team home. Ever consistent mountain runner Shileen O’Kane, who recently won the Donard Commedagh race is also included as well as experienced Internationals Anne Sandford and Diane Wilson. In the Junior races Northern Ireland will also be well represented, with some of our most exciting prospects on show. In the under 18 race, Omagh’s Sara Moore (3000m Schools Champion), who was a London 2012 Olympic torch bearer will be keen to impress. While in the under 16 race, Newcastle’s Patrick Sheridan will be going into the race high on confidence after his success at the NI & Ulster Track and Field Championships earlier this summer. The Junior races are also ‘uphill only’, covering 7km with 485 metres of climbing. Northern Ireland Team managers are Ricky Cowan, Conor Moore and Patricia Campbell. Senior Men: Gavin Mulholland, Paul McAnespie (Armagh AC), Neil Carty (North Belfast Harriers), David McNeilly (Newcastle AC), Clive Bailey (Mourne Runners), Andrew Annett (Mourne Runners), Jonathan Graham (Mourne Runners) – Non Travelling Reserve: Simon Reeve (North Belfast Harriers). Senior Ladies: Gillian Wasson (Springwell Runners), Shileen O’Kane (Lagan Valley), Diane Wilson (Lagan Valley), Anne Sandford (Lagan Valley). Juniors: Under 18 Female; Sara Moore (Omagh Harriers) – Under 16 Male; Patrick Sheridan (Newcastle AC), Timothy McCracken (Omagh Harriers), Jack O’Neill (Omagh Harriers) – Under 16 Female; Toni Moore (Omagh Harriers), Rosin Flanagan (Omagh Harriers), Eilish Flanagan (Omagh Harriers), Dearbhla Magee (Newcastle AC). London 2012 Paralympics: NI medal hopefuls ready to go! Three Northern Ireland runners are preparing for tonight’s London 2012 Paralympic Games opening ceremony in the Olympic Stadium, Stratford. Team GB’s Sally Brown from Ballykelly will be competing in the (T46) 100 metres and (T46) 200 metres. Sally who is a member of Springwell Running Club made her senior international debut at the IPC Athletics World Championships in 2011, winning a bronze medal in the (T46) 200 metres. Michael Mc Killop, from Newtownabbey will be representing Team Ireland in London and will be hoping for success in the (T37) 800 metres and (T37) 1500 metres. Michael is one of Ireland’s most successful Paralympic athletes and is reigning Paralympic Champion in the 800 metres and double World Champion. Also representing Team Ireland is Jason Smyth from Eglinton. Jason is currently based in Florida and has been continuously praised by some of the world’s top sprinters. Having missed the Olympic “A” standard by just four seconds Jason is now even more focused on retaining his Paralympic titles in the (T13) 100 metres and (T13) 200 metres. Northern Ireland athletes James Brown (Team Ireland Cycling) , Bethany Firth (Team Ireland Swimming), Elish Byrne (Team Ireland Equestrian), Laurence Mc Givern (Team GB Swimming) and Sharon Vennard (Team Ireland Archery) will also be competing. We would like to wish all eight the very best of luck! This Sunday, 2nd September see’s the return of the very popular ‘Up & Running’ Laganside 10k road race. Boasting a course with huge Pb potential, this race attracts runners from far and wide. The main event kicks off at 2pm with a family fun run beginning at 1.30pm, ensuring a great day out. With a generous prize fund (cash and vouchers) for winners as well as goody bags and refreshments for all finishers, organisers are expecting record entries. If you haven’t already entered, online entry closes later today. On the day entry is available until 1:30pm but includes late fee. So, get your entries in now! A team of Northern Ireland athletes travelled to the Mc Cain Inter-Counties Track & Field Championships in Bedford on the weekend of 25-26th August. Within the team was Kelly Neely (formerly Mc Neice) who intended to draw the curtains on a successful career after competing in the BMC 800metres, held as part of this meet. First up it was Joanna Mills in the 400 metres, having had only a few hours between her heat and the final Joanna produced an excellent performance, taking 1st place in 55:35. Amy Foster won the 100 meter final, crossing the finish line in 11:58. Reports suggest that Amy was never in danger and looked strong throughout! In the 800 metres (‘A’ race), Kelly Neely turned out a fine performance, finishing in 2nd place behind Swiss athlete Selina Buedel in 2:07:03. Kelly took full points for Northern Ireland as Buedel was not part of the Inter-Counties Championship. A nice way to finish her competitive running career! To congratulate Kelly on an outstanding career NiRunning will be running a special feature on the Lisburn AC athlete’s achievements, she’ll also tell us about her plans for the future! Look out for this over the next few days. Nearly one hundred runners travelled to Moneymore for the town’s 10k road race on Sunday 26th August. It was North Belfast Harrier’s Conor Curran who gave the waiting crowds the first opportunity to show their vocal appreciation as he broke the tape, claiming 1st place in 34:45 over one minute ahead of Sperrin Harriers Christopher Mc Peak (2nd place – 35:47) who had a good excuse for being a little tired, after having won the Dungiven 10k the previous day! Jonathon Mc Cloy (Ballymena & Antrim) finished 3rd in 36:20. Helena Quinn (Termoneeny AC) won the ladies race, securing 1st place in 41:43 with Paula Conlon (51:14) beating Sinead Rocks (3rd – 51:24) to 2nd place by just ten seconds. On Sunday 26th August, the inaugural ‘Skerry Heights 10k’ took place, the event was organised in conjunction with the Glenravel Festival . Iain Taggart, from Ballymena Runners continued his recent form, taking 1st place in 35:24. An excellent time, considering the tough technical course. Eion Mc Quillan (38:34) was next over the line in 2nd place, holding off Kevin O’Boyle who claimed a well deserved 3rd place in 38:46. In the ladies race, it was Larne AC’s Geraldine Quigley who took the honours, crossing the line in 1st place with a time of 45:26. Claire Martin (48:00) and Rhonda Brady (53:01) finished in 2nd and 3rd place respectively. Top 3 Men: 1st Iain Taggart (Ballymena Runners) – 35:24, 2nd Eoin Mc Quillan (North Belfast Harriers) – 38:34, 3rd Kevin O’Boyle (Ballymena Runners) – 38:46. Each year the Dublin Marathon race series attracts significant interest from the Northern Ireland running fraternity, Saturday 25thAugust brought the latest instalment of the series with the running of the ‘Frank Duffy 10 mile race’ in Phoenix Park, Dublin. A number of local runners headed south of the border, joining over 4,500 competitors for the closely contested race which was won by Scottish runner Matthew Houston in 50:04. St Malachy’s Joe Mc Allister finished in 6th place, with a time of 50:49. North Belfast Harrier’s Martin Rea (55:53) and Eddie Cooke (56:14) finished in 22nd and 24thplace respectively, only separated by Larne AC’s Justin Maxwell who crossed the line in 56:03. East Down AC trio Phillip Vint (1:04:12), Stephen Mc Cann (1:13:28) and Helen Vint (1:25:01) also enjoyed good runs. Maria Mc Cambridge secured the female title, breaking the tape in 55:13 with second and third place having to be decided by chip times after Jo Zakrzewski and Niamh Devlin crossed the line together in 59:22. DSD athlete Devlin had the quicker chip time of 59:16, just three seconds faster than Zakrzewski. This year’s Donard Commedagh Fell Race was held on Saturday 25th August, despite the wet and windy conditions fifty two brave competitors took on the challenging course. Stephen Cunningham (Mourne Runners) led the men’s race from start to finish, crossing the line in 1:08:01. Newcastle AC’s David Mc Neilly (1:12:29) took 2nd place with Paul Mc Anespie of Armagh AC (3rd place – 1:13:51) completing the top three. In the ladies event, ever consistent Shileen O’Kane (Lagan Valley) retained her crown, clocking 1:25:26 in 1st place. Lagan Valley team mate Anne Sanford (1:31:19) finished in 2nd place with Jacqueline Toal (1:36:44) of BARF in 3rd place. With David Mc Neilly, Colum Campbell, John Kelly finishing in 2nd, 5th and 7th place respectively Newcastle AC secured the team prize. The Downhill Demense Trail Race, an event jointly promoted by Springwell Runners and the National Trust at the Downhill Demense & Mussenden Temple close to Castlerock took place on Saturday 25th August. In a close race between Allan Bogle (City of Derry) and Paul Blayney (North Belfast Harriers) it was Bogle, in his first race after becoming a proud father who finally got the edge on the five mile course, creating a gap and eventually beating Blaney to 1st place, breaking the tape in 33:16. Crossing the line just eight seconds behind the winner, Paul Blaney took 2nd place in 33:24 with Glenn Donnelly (Sperrin Harriers) taking 3rd place in 34:16, proving that he is back to his best following his long fight back from injury. In the ladies race, Anne Paul made it a double for the City of Derry club, taking 1stplace in 39:07. Alison Rankin of host club Springwell Running Club was 2ndin 39:36 with club mate Deborah Gilliland (40:32) in 3rd place. Last weekend saw the return of the ‘Rathlin Challenge Run’, a race that never fails to attract a sizable crowd, despite the notoriously choppy six mile boat trip from Ballycastle to Rathlin Island. Some may foolishly have thought that after having conquered the boat trip they deserved an easy run, organisers Belfast Activity Centre obviously disagree, especially this year with the additional option of the Half Marathon running alongside the traditional 10.8 mile course. On a warm sunny, humid day hundreds of runners descended on the island and took their places on the start line before setting off on the demanding courses, with the constant ascending and descending runners quickly felt the pain of what must be one of the hardest races in the UK. Not long into the race, the lead groups began to form, with last years winner of the 10.8 mile course, Phelim Mc Allister taking part in the Half Marathon this year everything was up for grabs. Mc Allister however was prominently placed, challenging for the Half Marathon title. As the race progressed Lochlainn Connolly, Mark Walker and Phelim Mc Allister were out in front but with Connolly in the 10.8 mile race, the battle for prestigious Half Marathon title was between Mc Allister and Walker but with Mc Allister pushing ahead it was obvious that he was looking like the eventual winner of the their race. In the female race, Gillian Eunsan, Eimear Cassidy and Catherine Thompson were all running hard, vying for the top spot in the 10.8 mile race. In the Half Marathon, Claire Martin was clear of Briege Cecil and Joanna Patterson and looked as if she was cruising to the sea-front finish line. continued his relentless pace to win the first ever Rathlin Island Half Marathon (albeit measuring a little short) in 1:21:55. Colm Mc Garry (1:17:47) and Sean Harman (1:22:36) took 2nd and 3rd place respectively in the 10.8 mile race while Mark Walker (1:23:46) and Thomas Leitch (1:25:30) claimed 2nd and 3rd place in the Half Marathon race. 10.8mile:- 1st Lochlainn Connolly; 1:09:16. 2nd Colm Mc Garry; 1:17:47. 3rd Sean Harman; 1:22:36. 13.1mile:- 1st Claire Martin; 1:44:09. 2nd Briege Cecil; 1:54:19. 3rd Joanna Patterson; 1:57:45. 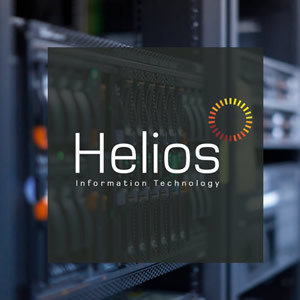 On Saturday 25th August 2012 we launched our NEW website! The website will focus on all things running, reporting on how Northern Ireland athletes are performing on a local, national and international level. 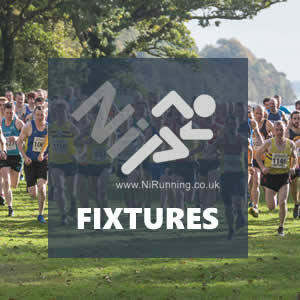 Be it on the roads, in the mountains, through the trails or around the track, NiRunning will endevour to bring you fixtures, results, reports, race reviews, photo’s, profiles and all the latest news! 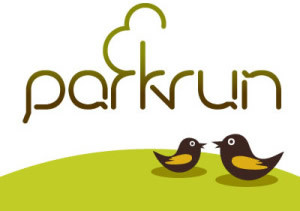 There is also an open forum provided where you are encouraged to discuss running with fellow enthusiasts! We also hope to have a mobile version of the website available within a few weeks so that our content can be easily accessed via your smart phone. Please have a browse, let us know what you think and call back soon to see what is happening within the Northern Ireland running scene. Spread the word to your friends as well!! Several Northern Ireland runners represented Great Britain & Northern Ireland at the European Veterans Athletic Championships in Germany this weekend. Annadale Strider Dave Morwood struck Gold as he won the 5000m (M40) in 15:29:88, while Lagan Valley’s Ruth Magill took Bronze in the 800 metres (W50) in a time of 2:33:32. Ruth qualified for the final having run the fastest time through the heats (2:39:28) but was norrowly beaten in the final by Esther Zoll of Germany (2:29:85) and Simone Geel of Italy (2:32:99). On Tuesday 21st August members of Larne Athletic Club, Seapark Athletic Club, County Antrim Harriers, Ballymena Runners and Glens Runners took part in this year’s instalment of the Larne AC promoted East Antrim ‘Interclub Race’. After the customary team photograph’s had been taken, the runners made their way to the start line on the Feystown Road, just above the Knockdhu Car Park in preparation for the imminent start of the ‘out and back’ race. A tough course, measuring five miles for the men and four miles for the ladies lay ahead, taking the runners out the Feystown Road, past the Lagadoo Road and Drumcrow Road junctions towards the GAA pitches in the direction of Feystown, were they turned at designated distances. On the sound of the horn, the runners set off on the usual fast downhill start. Almost immediately Ballymena Runners’ Matthew Mc Cooke and Jack Neeson emerged at the head of the group, with Larne AC’s Phelim Mc Allister settling just behind the pair in third place. In the female race, Larne AC’s Geraldine Quigley and Lyndsay Haggan started strongly with Gillian Cordner from Seapark AC close behind. As the men approached two miles Jack Neeson (Ballymena Runners) had taken the lead, just ahead of club mate Matthew Mc Cooke, with Phelim Mc Allister still in third position. Seapark AC’s David Gamble and Larne AC’s Wayne Morrow were just behind, running strongly and still in contention. Geraldine Quigley was the first female to turn at the halfway point, now making her way back towards the finish she was able to see club mate Lyndsay Haggan was close behind. Gillian Cordner had reduced the distance between her and the Larne AC duo and was looking strong. County Antrim Harriers pair, Heather White and Ruth Morrison were also running well. Although, slightly behind, a group of Ballymena Runners, including Sharon Harvey, Linda Petticrew and Sandra Clements still had a part to play in the race. As the ladies made their way home the men turned at 2.5 miles and the dual between Ballymena pair Mc Cooke and Neeson continued, with Mc Cooke having a slight upper hand on his club mate in the form of approximately two seconds. Phelim Mc Allister (Larne AC) was next to reach the halfway point, with team mate Wayne Morrow approximately 15 seconds behind it looked as if the top three could not be caught. However, with the second half of the race predominantly uphill things were by no means set in stone. David Gamble (Seapark AC) turned in fifth place but with Michael Bennett (Ballymena Runners), Kevin O’Boyle (Ballymena Runners), Andy Guy (Larne AC) and Greg Lavery (Larne AC) in hot pursuit, it was clear that he was going to have to work hard to retain his place. As the ladies race neared the closing stages, Larne AC’s Lyndsay Haggan was beginning to feel the effects of the early pace and was caught by Gillian Cordner (Seapark AC). Meanwhile the battle for the men’s title had taken another turn, with Jack Neeson overtaking club mate Matthew Mc Cooke and beginning to surge. Further down the field, Andy Guy (Larne AC) was running well, overtaking David Gamble and catching Wayne Morrow. Not happy to settle, especially after seeing Andy Guy progress, Michael Bennett also picked up the pace, breaking clear of Ballymena Runners club mate Kevin O’Boyle before catching and overtaking Seapark AC’s David Gamble, who was beginning to tire on the challenging hilly section. Bennett, now in sixth place was closing fast on Larne AC duo Morrow and Guy! Geraldine Quigley ran a strong second half, breaking clear of Gillian Cordner and Lyndsay Haggan. As the spectators waited in a finish area full of anticipation, it was indeed Larne AC’s Geraldine Quigley who emerged over the hill and crossed the line in 1st place, with a winning time of 27:29. Gillian Cordner (Seapark AC) was the next female to finish, securing 2nd place in 27:48 before Lyndsay Haggan (3rd place – 28:40) made it two in the top three for Larne AC, who were looking good for the female team prize. A tight grouping of Sharon Harvey (4th – 28:55), Linda Petticrew (6th – 29:10) and Sandra Clements (7th – 29:19), all attached to Ballymena Runners meant that the Larne AC ladies would have to hold off any thoughts of victory. A moment later, sighs of relief came as Alyson O’Toole (8th – 29:36) and Beverley Gaston (9th – 29:57) crossed the line as third and fourth Larne AC team members, securing the female Interclub title for the fourth consecutive year (21pts). 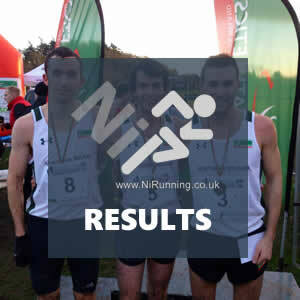 Ballymena Runners (34pts) finished in 2nd place, with Seapark AC (40pts) in 3rd place. County Antrim Harrier’s pair, Heather White (5th – 29:02) and Ruth Morrison (10th – 29:58) both ran excellent races and completed the female top ten. In the men’s race, Jack Neeson was holding a strong pace, creating a gap between himself and Matthew Mc Cooke over the final two miles. His earlier surge proved to be a decisive move, with Mc Cooke unable to follow, Neeson crossed the finish line in 28:25, securing 1st place, ahead of a tired Matthew Mc Cooke (28:47) who finished in 2nd place. Further down the road and well into the final mile Ballymena Runners’ Michael Bennett had caught and overtaken Larne AC’s Wayne Morrow and Andy Guy and was now putting pressure on Phelim Mc Allister for 3rd place. In a sprint finish, Mc Allister managed to hold on, claiming a well deserved 3rd place in 29:24 with Michael Bennett (29:25) having to settle for 4th place. Andy Guy (Larne AC) finished in 5th place, running exactly 30:00. Ballymena Runners’ Kevin O’Boyle (30:01) produced a fast finish to beat David Gamble (7th – 30:02) to 6th place. Gamble himself was happy with his strong finish, which saw him overtake Wayne Morrow (30:03) in the final metres. A tired but happy Wayne Morrow took 8th place ahead of team mate Greg Lavery (9th – 30:16). Davy Clarke (30:22), also of Larne AC completed the top ten. With Larne AC chairman Andy Gregg (31:21) and Ballymena Runners’ Noel Connor (30:39) finishing in 11th and 12th place respectively it was Ballymena’s long time club member Ray Curran (16th – 31:45) who proved to be the deciding team member. Based on count back calculations, Ballymena Runners (40pts) took 1st place in the male team prize with Larne AC in 2nd place (47pts) and Seapark AC in 3rd (134pts). Prior to the start of the main event a junior race took place with the following, talented girls taking part: Katie Glover, Erin Beattie, Bromley Finn and Cora Brady, all four produced fine performances, showing that they have a bright future within the sport. Larne Athletic Club would like to thank the management and staff at Mattie’s Meeting House for the use of their premises, as well as their fantastic hospitality. The club would also like to thank Jenny Magill for organising the catering and Elaine Hall for arranging prizes. The event would not have been possible if not for the efforts of all marshals, time keepers, club members’ family and friends who gave up their evening to assist with the race. With all entry fees being donated to charity, a total of £370.88p was collected on the night, this donation was offered to Cancer Research via Elaine Mc Kay who is completing the Great North Run in September as part of her continued fundraising for this very worthwhile cause. Men’s Top 10 (5 miles): 1. Jack Neeson (Ballymena Runners) 28:25, 2. Matthew Mc Cooke (Ballymena Runners) 28:47, 3. Phelim Mc Allister (Larne AC) 29:24, 4. Michael Bennett (Ballymena Runners) 29:25, 5. Andy Guy (Larne AC) 30:00, 6. Kevin O’Boyle (Ballymena Runners) 30:01, 7. David Gamble (Seapark AC) 30:02, 8. Wayne Morrow (Larne AC) 30:03, 9. Greg Lavery (Larne AC) 30:16, 10. Davy Clarke (Larne AC) 30:22.